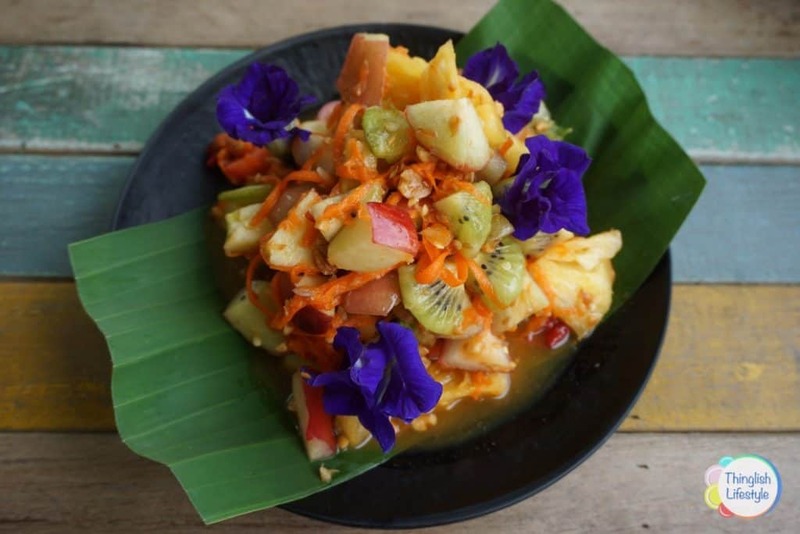 Have fun learning to prepare and cook classic Thai dishes with a creative twist and local flavour at Thinglish Kitchen’s new Thai cooking class; ‘Thinglish Cooking Experience’. We are located in a peaceful country setting of Khao Saming district, just 9km from Trat City centre. Through this ‘hands on’ Thai cooking class we aim to give you not only an introduction into Thai food, but also further insights into the local culture and customs. Food is a huge part of Thai culture so we will introduce you to some of the ingredients and show you how to adapt the dishes using different ingredients depending on their seasonal availability. We use fresh ingredient that we can buy in the local markets of Thung Nonsi (Wed & Sat) or Saen Tung (everyday). These includes fruits, vegetables, herbs and even edible flowers from our garden and permaculture food forest! Not all fruits, vegetables, herbs and spices are available all year round. We only use seasonal ingredients from the garden in the Thinglish Kitchen and Thinglish Cooking Experience so by the end of your Thai cooking class we hope you have the confidence and knowledge to cook your own tasty and authentic Thai dishes and adapt them based on the ingredients and the seasons of your home country. 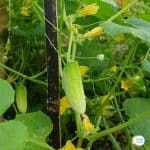 Below you will find some of the fresh ingredients we grow naturally (without herbicides and pesticides) in our Thinglish country garden and permaculture food forest. 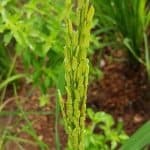 Rice (‘Kao’) Plain rice, ‘Kao Jaw’ is grown during the rainy season and is boiled in water before eating. Sticky rice ‘Kao Nio’ is soaked overnight in water and steamed. 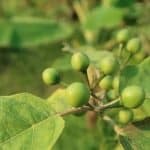 Turkey Berry AKA Bitter Eggplant (‘Makheau Phuang’) is a small garden pea size eggplant that grows freely on a thorny bush. It is used mostly in green curries. Hot Chili (‘Prik Kie Noo’) perhaps the smallest variety of chili but one with the biggest kick. If you like your Thai food spicy, this is for you! Coconut (‘Ma Prao) Coconut water is probably one of the healthiest drinks available. The flesh of a young green coconut is also delicious. Later when the coconut turns brown, the hard flesh inside can be grated to make coconut milk. Long Beans (‘Thua Fak Yao’) Longs beans are often used in stir fries and salads. The plant is also a great nitrogen fixer. Galangal (‘Khaa’) This rhizome is often used in curry pastes, Tom Yam and Tom Khaa soups. It belongs to the ginger family and is sometimes also known as Siamese ginger. Thai Ginseng (‘Kra Chaai’) another healthy herb of which the roots are a key ingredient in curry pastes and fish dishes. Papaya (‘Ma Lagor’) We grow both the long and round (Holland) verieties of Papaya. 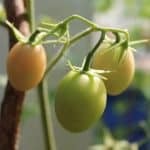 The young green fruit is used for salads, while the ripe orange papaya is eaten as a fruit or in a shake. Lemongrass (‘Ta Krai’) This fragrant green/grey grass is used in Thai curries and Tom Yam soups. 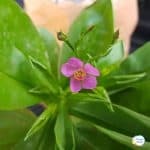 It can also be dried and used as a healthy tea and even a natural mosquito repellent. Kaffir Lime (‘Ma Krut’) This small green citrus fruit is the size of a lime but with a rough outer skin. The rind and leaves are an essential ingredient for many Thai curries and soups. Lime (‘Ma Nao’) Thai’s often refer to Ma Nao’s as lemons but in the West, you would know them as limes. The fruit is small and green with a thin skin. They are used in hot and sour dishes or made into a refreshing beverage. 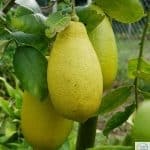 Lemons (‘Ma Nao’) A medium sized, elongated fruit with a distinctive color, yellow… Lemon yellow! The ideal ingredient to make lemonade or infused water. 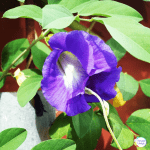 Butterfly Pea (‘Xaychan phiseux’) the flower from this perennial vine is used to make a fun food colouring or hot tea. Butterfly pea tea is often served with a slice of lemon. When the citrus is added to the tea it changes the PH value of the liquid and turns it from blue to pink. Roselle (‘Kraceib’) We dry the red flower from this Hibiscus and make a cold infusion or hot tea. The leaves, not widely used in Thailand can be eaten as a spicy version of Spinach and make a great accompaniment with fish dishes and curries. 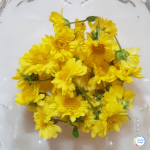 Chrysanthemum (‘Dok beycmas’) A small fragrant flower that can be dried and made it to a refreshing tea. Sweet Eggplant (‘Makheau Pro’) Most Thais use these round, green eggplants in curries and stir fries. We also grow the small long purple variety. Thai Parsely (‘Pak Chee Farang’) These long green aromatic leaves are used in Tom Yam and Thai salads. Sweet Basil (‘Horapaa’) beautiful deep green leaves used in curries. Holy Basil (‘Ka Prao’) These green leaves have a distinctive hot flavor and is a favorite in stir fried dishes. 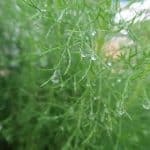 Dill (‘Pak Chee Farang’ ) is a beneficial perennial herb in Thailand that loves to grow in a sunny spot. It can be used as a topping for a number of dishes or as an ingredient. It also makes a wonderful tea when sweetened with a drop of natural honey. Morning Glory (‘Pak Bung’) This leafy green is grown in water and is after referred to as ‘water convulvus’. This is often fried with garlic and oyster sauce and served as a side dish. Coriander (‘Pak Chee’) The leaves and stems of this aromatic plant are used to flavor salads and soups or as a garnish. The seeds can also be roasted and used in curry pastes. Tomatoes (‘Makeuthes’) We grow tomatoes amongst other plants in the gardens and in our green house. They are used in many soups, salads and of course a good old BLT sandwich! Turmeric (‘Ka min’) is a small ginger rhizome with a distinctive orange color and famed for its healthy properties. It’s often used to color rice and yellow curries. 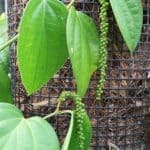 Vegetable Hummingbird (‘Dok khae’) This small tree produces elongated flowers in red or white that are used in Thai cuisine such as kaend som and kaeng khae. They are also used as a raw ingredient is nam phrik chili paste. 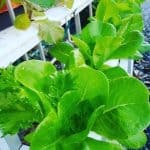 Lettuce (‘Pak kad hom’) We grow butterhead and royal oak lettuce in an aquaponic set up, occasionally in our green house. 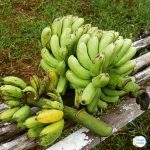 Banana (‘Kluai’) the fruit from this herb is packed with complex carbohydrates and is delicious freshly picked. The flower is also used in soups. The leaves are used to garnish plates and wrap food. When the banana is ripe it is used in Thai desserts like fried bananas or bananas in coconut milk. We have about half a dozen varieties of bananas growing in our gardens, including, cavendish, red and praying hands. Mango (‘Ma Muang’) Unripe mangos are green in color with a white flesh. They are sour and crispy and used in salads. The ripe mango is yellow, and the flesh is soft and sweet. It’s often used in the traditional dessert of mango and sticky rice. Pineapple (‘Saparot’) Pineapples do not grow on trees but are grown from the center of a hardy low-lying plant with razor sharp leaves. Preparing the fruit to eat is a very good skill to have. With fresh ingredients and hands-on experience, you’ll be soon cooking like a Thai! For more information or to schedule a booking for our Thai cooking class; contact us here.